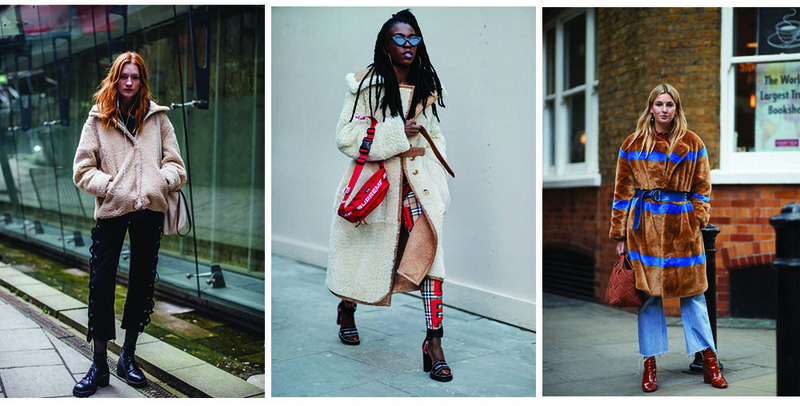 Street styles are nowadays what designers look for to get fresh ideas, or in other words, trickle up trends. Everyone has their own style now and it’s about finding the right style for you! 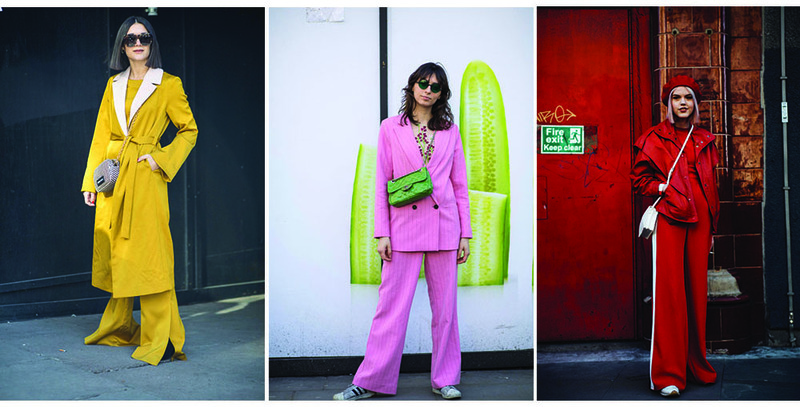 Here are some of the trends we saw in this year’s street-style in London. Wearing the same color head-to-toe is what mostly caught our attentions. Either a monochromatic look or the exact color from top to bottom! This style tactic creates a pleasing harmony to the eyes of the viewer and it elongates your shape! So I would suggest find your favorite color and try this trend! Ladies I hope you have saved your pants from the 70’s, they are back in style again. 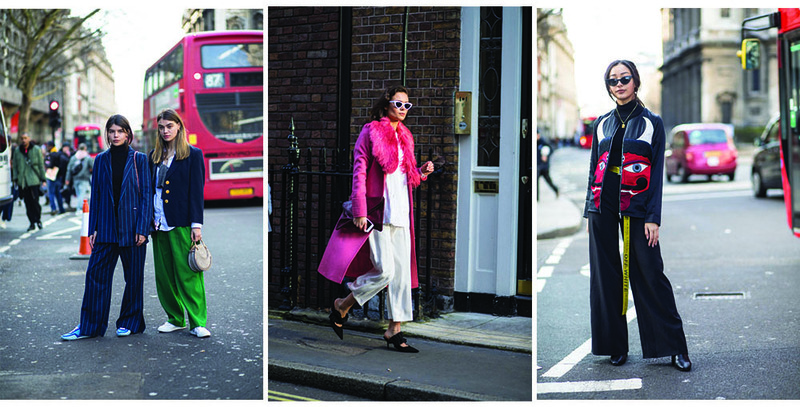 I’m talking about bell-bottoms and even your regular wide leg pants. These pants range from coulouts to floor length hem lines, where you can’t even see the shoes! Yes, pastels are spring colors, but what we are seeing in this season is knee high vinyl boots and long trench coats in these colors. In other words, cerebrating the spring in winter attire! Lavender is color of the season! Fuzzy jackets, whether it be faux fur or shearling are everywhere! Either short or long, they will keep you warm in this cold. In the fall we saw a lot of colorful fur and now we are seeing more natural and pastel colors. I think Christopher Bailey in his last Burberry show , celebrating LGBTQ pride, brought back all the rainbow colors from the 70’s and we are loving it! 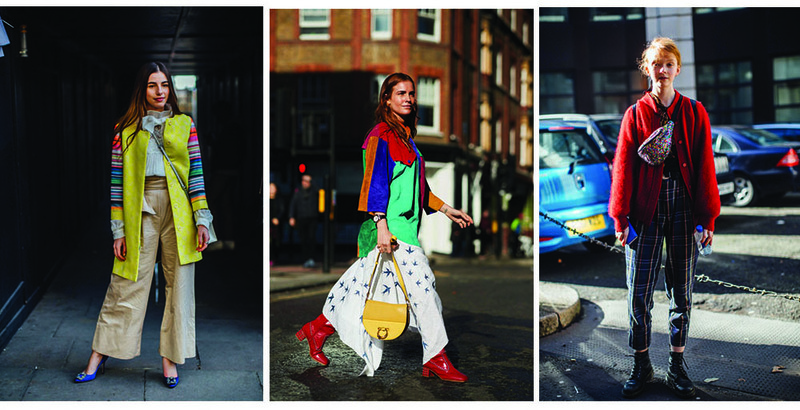 From glittered fanny packs to puffer jackets, rainbows are now everywhere.